Looking for a common element in 20th century Hungarian progressive art seems to be one of the most important goals of the current exhibition of MODEM Debrecen. 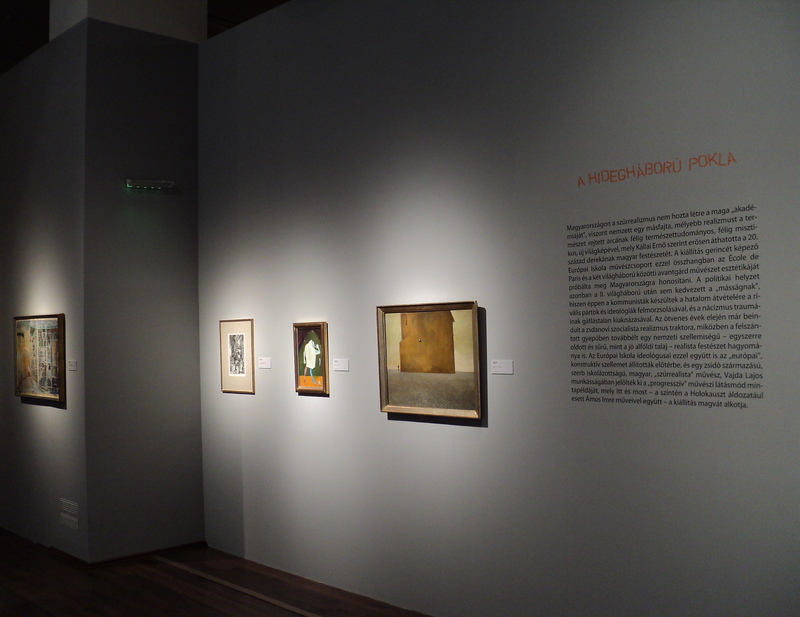 This time the common element is labelled as “Surrealism” – as the brochure of the exhibition explains, “the problematics of realism became one of the most significant vantage points of Hungarian surrealist ambitions” because of being rejected during the socialist era and the interwar national art scene as well. Curator Sándor Hornyik tries to create and to exemplify a narrative of this “foreign matter” as compared to realism going backwards in time, from more recent pieces to works from the first decades of 20th century. The core of the exhibition consists of works from the decade of the second world war, exemplified by the art of Imre Ámos, Lajos Vajda and the most important artists of the European School. This way, although the surrealist label is clearly not very strict in this exhibition (and the title acknowledges this by the use of quotation marks – Foreign matter: “Surrealism” in the attraction of reality), we can see it as an attempt to contextualize surrealism and to follow some of its key motives and interests in other currents as well. Ernő Kállai is named here as “the most significant theoretician of surrealism in Hungary” and this opens up indeed the possibilities to see a variant of surrealism as a link between different art forms. (Who could be the rivals of Kállai as theoreticians in this period? Maybe Béla Hamvas and Katalin Kemény with their Forradalom a művészetben: Absztrakció és szürrealizmus Magyarországon / Revolution in Art: Abstraction and surrealism in Hungary, or the co-founders of the European School, Árpád Mezei and Imre Pán in their books and articles about the theme.) Kállai speaks in his small volume written in 1945 (and published in 1947), A természet rejtett arca / The Hidden Face of Nature of art as developing in parallel with natural science. Revealing the hidden face of nature means in his book not necessarily a sort of metaphysical approach of seeing the unseen, but also to reveal some patterns inherent in nature and maybe considered as too common to connect them with the field of visual arts. Kállai reproduces in his book the image of the section of a cabbage or a photograph of a lightning, or speaks about images seen through a microscope to demonstrate the analogies between “natural” phenomena and the visual techniques of abstract art. Kállai (emerging from the field of Bauhaus values) is therefore a theoretician of the meeting point of abstract and surrealist painting – his favourite actual surrealist artists being Max Ernst, Hans Arp and Yves Tanguy. When speaking about them, Kállai uses also another term (invented by himself), bioromanticism, where an inspirational source is life and nature, but mostly the natural laws where crystallization, germination etc. follow specific and seemingly universal patterns. 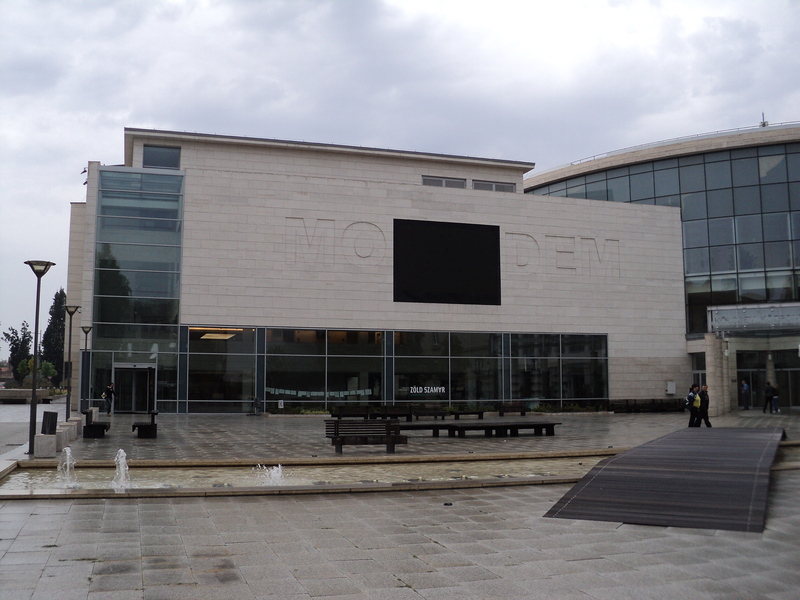 What can be seen at the MODEM exhibition that could confirm Kállai’s theory? 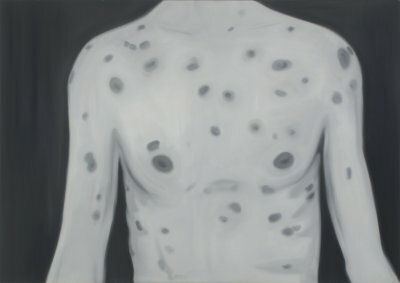 Works by Lajos Vajda or Dezső Korniss share the interest towards abstraction, but it is also relevant to note in this context that a contemporary work by Pál Gerber, Fertőzött ember / Infected man is inspired also from this “eruptive” visuality of biological patterns. The image is reproduced in the brochure of the exhibition right beside this passage: “At the time of Communism and Socialism, Surrealism as a contagion of western decadence could remain a valid art strategy up until the early sixties”. 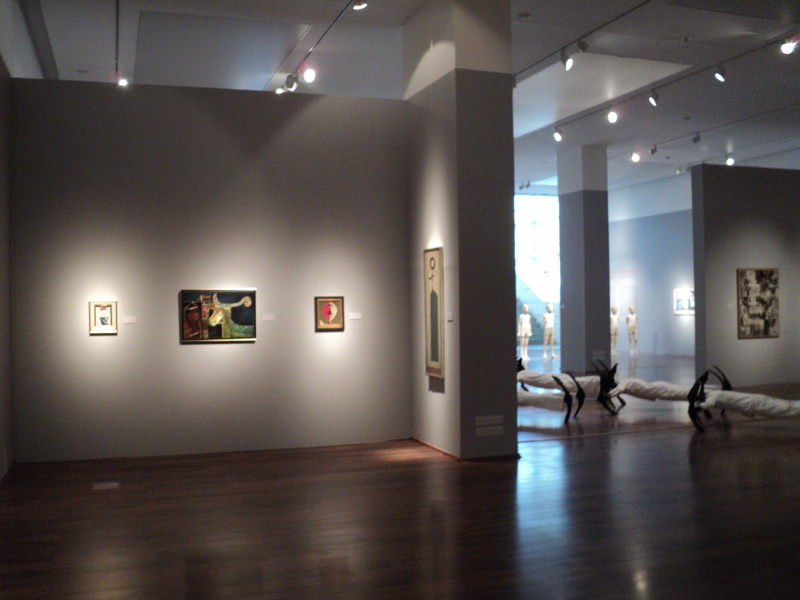 The exhibited material consists of quality paintings of the Antal-Lusztig Collection, and although the imagery itself won’t prove a constant preoccupation of Hungarian artists with the problems of Surrealism, or even those of abstraction, the exhibition can be read as a strong statement of re-establishing contacts between periods and currents of modern Hungarian art that so far seemed non-existent or difficult to establish. The installation of Little Warsaw, with statues of children looking “backwards” (in time?) can be seen as a self-reflexive element of the exhibition.